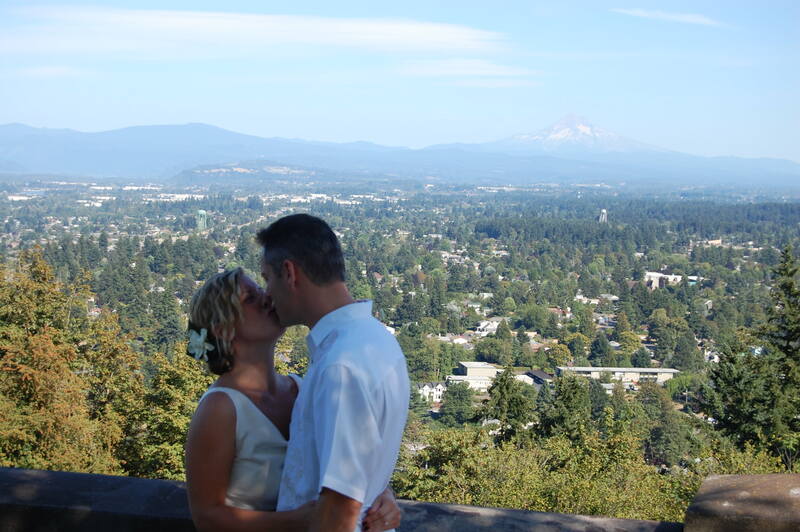 Breathtaking views and sunny skies made for a gorgeous wedding in SE Portland last Saturday. The pinnacle at Rocky Butte State Park provided the perfect setting for a nature inspired wedding ceremony. Friends and family gathered to witness the exchange of vows and celebrate the newlyweds. Congratulations, Jodi and Chris. Your sweet energy and obvious love for each other will stand the test of time. View wedding album next. What a beautiful ceremony! It’s amazing to see all the natural venues Portland has to offer.